Cotswold Koi provide professional pond services around Oxfordshire, Swindon, Abingdon and Cheltenham, to take care of your pond, by carrying out regular maintenance that is necessary to keep your pond and fish in the best possible condition. We can also make one-off emergency calls and are happy to assist with any problems you’re experiencing with your pond, equipment or fish, either over the phone or by a home visit. We can maintain any pond or water features you may have, from Koi & garden pond maintenance to large lake maintenance and management. We can cover the complete spectrum of your needs. Pond maintenance should be carried out on a regular basis to prevent the build-up of harmful waste products and bacteria in the pond/water feature itself or the filtration system, as well as keeping up the aesthetics of your pond and the clarity of the water so that you can enjoy your pond and fish. Water quality is very important for the health of your fish and the running of your water features. Most manufacturers recommend that pond equipment is maintained and serviced regularly to keep the equipment running properly and to its full potential. 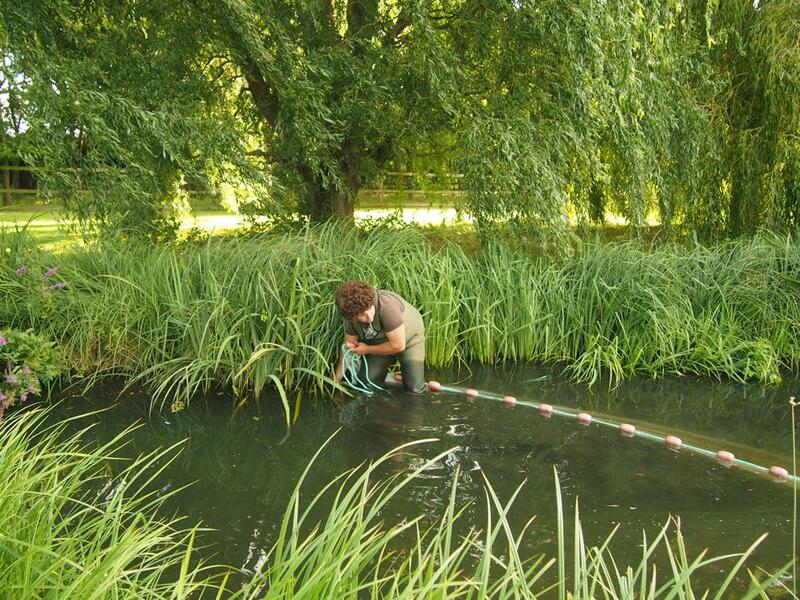 Regular servicing of pond equipment can prolong the life of the equipment and keep everything looking and working to the best of its ability. Advise on blanket weed treatment. Carry out water quality tests. Make sure all the pond equipment is working correctly. Remove debris from the pond. Check all hoses/pipework for signs of leaks. We recommend that this service is carried out on a monthly basis as a minimum, however, to keep your pond in its optimum condition fortnightly or even weekly visits may be necessary, this can be discussed on our first visit when we will advise you however, the visits can be done on a more or less frequent basis; whatever best suits you. Repair/replacement of damaged butyl, firestone, PVC & fibreglass liners. Maintenance or replacing your UV bulbs. Replacing or cleaning your Quartz sleeves. Installing or replacing UV clarifiers. Diagnosing and treating your Koi. Testing your water quality (PH, Ammonia, Nitrates, Nitrites, Oxygen levels). Weed control – duckweed, blanket weed & algae. 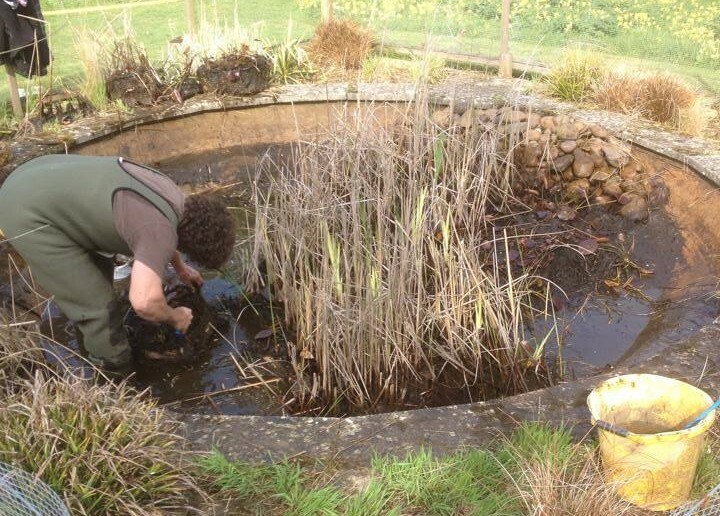 Repairing and installation of ponds. We deal with all major makes/brands within the aquatic trade so all equipment can be supplied and installed by us if required; whatever your problem we’re here to help!